You want voice control? You got it. Only the Hopper® lets you control your TV with your Voice Remote, Amazon Alexa, or Google Assistant. 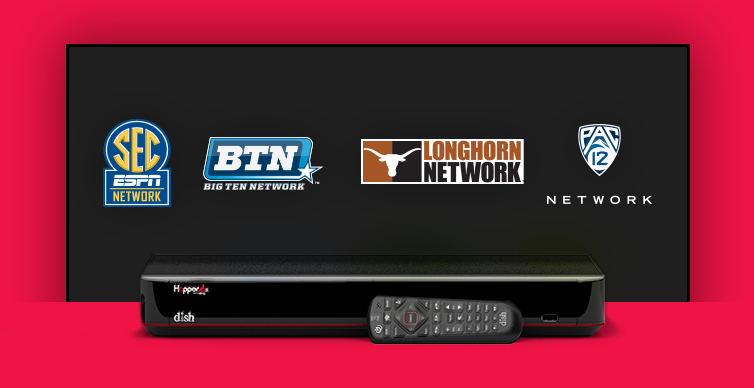 Sign up for DISH today and get a FREE Voice Remote included! Requires internet-connected Hopper®, Joey®, Wally®, and any Amazon Alexa- or Google Assistant-enabled device. Amazon, Alexa, and all related logos are trademarks of Amazon.com, Inc., or its affiliates. Google and Google Home Mini are trademarks of Google LLC. Serving Orange County Residents for over 20 years! DISH prices starting at $59.99/mo. All offers require credit qualification, 2-Year commitment with early termination fee and eAutoPay. America’s best technology, value, and service. Shop Local and Get DISH today. All offers require credit qualification, 24-month commitment with early termination fee and eAutoPay. Prices include Hopper Duo for qualifying customers. Hopper, Hopper w/Sling or Hopper 3 $5/mo. more. Upfront fees may apply based on credit qualification. Offer ends 7/10/19. After 6 months, you will be billed $9.99/mo. for DISH Protect Silver unless you call to cancel. Premiums included for 3 months: After 3 mos., you will be billed $30/mo. for Starz, Showtime, and DISH Movie Pack unless you call to cancel. DISH 4 YOU is an authorized DISH Satellite television Retailer specializing in Satellite television and Internet service. DISH 4 YOU is your local choice for DISH service! We have served All over Orange County for Since 1997 and are dedicated to serving the local community. DISH is the best choice for value, technology and customer service with the lowest prices nationwide. So stop by today to find the package that works best for you! Learn More about our latest deals. By providing your telephone number and clicking submit you authorize DISH 4 YOU, DISH Authorized Retailer, or its representatives to use this number to contact you regarding DISH products and services through an automated or predictive dialing system or prerecorded message system, regardless of whether the number is on any do-not-call lists or is otherwise registered as a wireless telephone number. You understand that you do not need to provide a cellular phone number to receive DISH services. DISH 4 YOU is an authorized retailer of DISH Network L.L.C. DISH, DISH Network and DISH Network logos are trademarks, registered trademarks and/or service marks of DISH Network L.L.C. and/or its affiliate(s). The DISH Network trademarks, registered trademarks and/or service marks are used subject to license of DISH Network L.L.C. and/or its affiliate(s).